Everyday I get over 100 emails. It makes it very difficult to get back to any email I don't reply immediately and hard for me to keep up when I, for some reason, don't check my email for a day. Occasionally, I scroll through my emails just to look for important ones that got buried and unnoticed among the numerous unimportant ones I get. And so for a long time I have been thinking of a way to manage my email inbox. I once even thought of having someone help sift out the important ones. 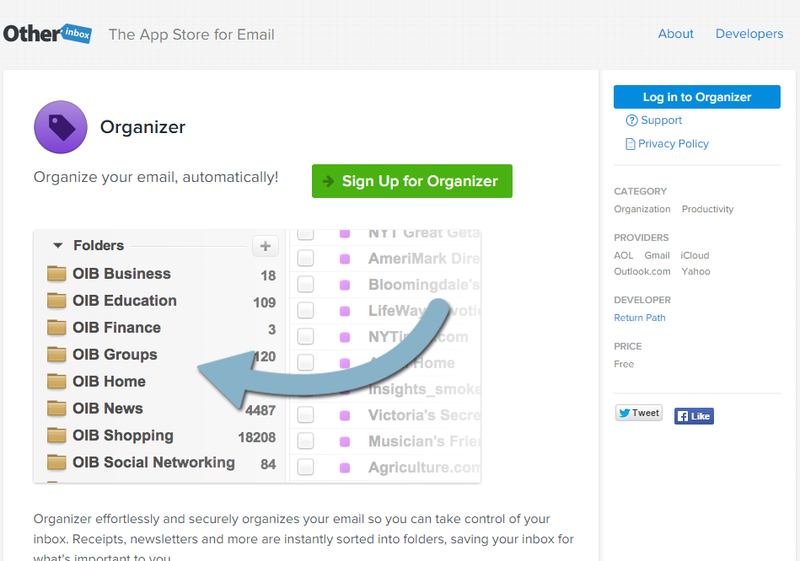 Now with Organizer I can do all of that automatically. Organizer looks through your email and group them into easy to identify groups -- Social Networking, News, Business and so on. It then leaves the very personal mails in your mail inbox. So you don't miss anything important and you can still keep up with the numerous educative and info mails you get from numerous services/websites. It's like a wonder tool and also free. Ever wanted to copy multiple text snippets at once? Like you wanted to copy the ten different items you want to purchase this weekend and you want it such that when you do CTRL + V (or paste) you will see all the ten items and can select which one to paste. Isn't that cool? That and way more is what PhraseExpress allows you to do? Most of us have common sentences we type very often, usually when replying emails or typing a cover letter or creating proposals or sending a cold email to a potential customer. What if you could abbreviate the sentence to a code word and every time you type the code word, the sentence is what comes out. Example could be using gbty for Hi, thanks for your email. I will get back to you shortly. If it's urgent kindly text my number in the email signature. Now every time you want to type that long sentence, you just type gbty and it automatically expands to that long sentence. Cool, isn't it? 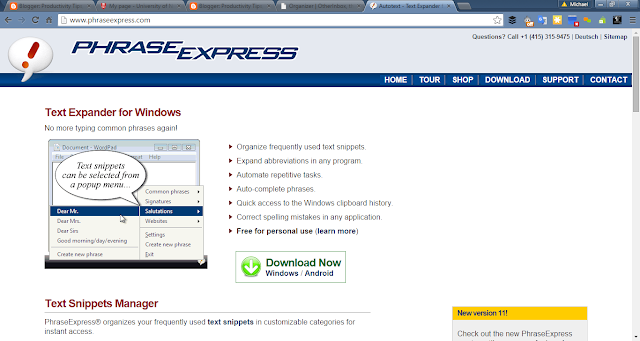 Again, PhraseExpress allows you to do that too, and more. Give PhraseExpress a try and you could greatly improve your speed of work. Best part, it is free! And those are the two amazing productivity tools I just started using. Do you know of any other I should checkout? Please do share. Thanks!